Big Tom passed away at the age of 81 last Tuesday. 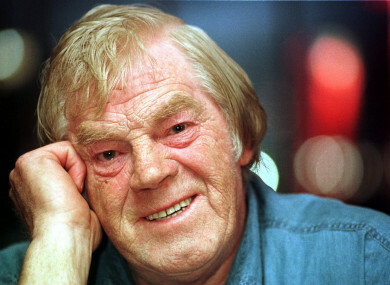 MORE THAN HALF of the viewing public tuned in watch the Late Late Show Country Special which paid tribute to the late Irish country singer Big Tom McBride on Friday night. The music icon died last Tuesday, aged 81. His funeral took place in Oram, Co Monaghan on Friday morning. The country star, best known as the frontman of Big Tom and the Mainliners, had been playing live up until recently. The Late Late Show Country Special attracted a 51% share of the Irish nation who were watching television on Friday night, as people tuned in to watch as stars of the Irish country scene came together to pay tribute to the singer. An average of 561,500 people tuned in to watch Friday’s show. It had a reach of 1 million viewers – people who tuned into the broadcast for a minute or more. The average audience peaked at 612,100 viewers. “It was an honour to be able to celebrate the life and impact of Big Tom on this year’s country special with some of his closest pals in the business,” presenter Ryan Tubridy said. “One thing that we have learned from our specials is that the Irish country scene is really a family and I want to thank everyone involved in Friday’s show for allowing us to give Big Tom the send-off he very much deserved,” he said. As well as the tribute to Big Tom, this year’s show featured some of Ireland’s country stars performing songs that took the genre into the mainstream, including Nathan Carter and Cliona Hagan. Boyzone singer Ronan Keating joined Lisa McHugh to perform When You Say Nothing At All. The country stars came together at the end of the show for one final tribute to Big Tom with a medley of his best-known songs. Email “More than half a million of us tuned in to watch the Late Late pay tribute to Big Tom ”. Feedback on “More than half a million of us tuned in to watch the Late Late pay tribute to Big Tom ”.